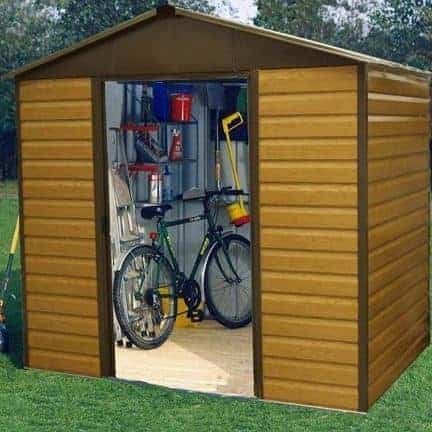 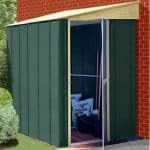 This shiplap metal shed is a welcome addition to your garden, and it comes with a pleasing wood-effect finish. 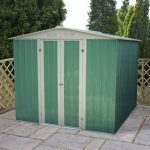 A key feature is the hot-dipped galvanised steel construction. 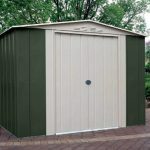 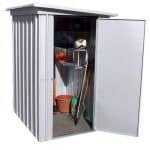 This makes it one of the most durable shed buildings available today, with excellent protection against rust. 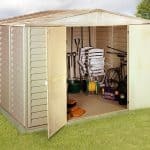 An anchor kit ensures it stays firmly locked into the place you erect it, and there are double doors that bring easy and full access to the contents of the building. 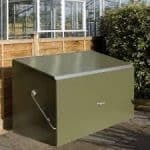 That galvanised steel means that you get a 10-year anti-rust guarantee at the same time.